Daintree Residences successfully sold 50 of the 80 phase-one units amidst new introduced property cooling measures. The Phase 1 launch is the first in the real estate market since new property cooling measures kicked in on July 6. The developers of newly launched condominium, S P Setia, said earlier that they were working out a “special discount” for its sales launch on Saturday. 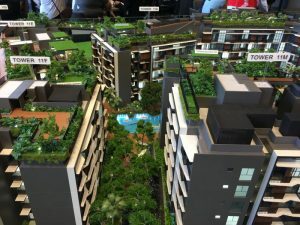 Mr Neo Keng Hoe, general manager for the developer SP Setia, who said the average selling price of the development at District 21 is $1,800 per sq ft (psf), hoped that the special discount will draw in more buyers at the launch. The launch price of Daintree Residences successfully sold was eventually fixed at an average selling price of S$1,710 psf. Buyers were also offered a 5 percent discount. The 327-unit project in Toh Tuck Road saw 80 units released in its Phase 1 sales launch and Daintree Residences successfully sold 50 apartments. Most of the units sold were two-bedroom apartments followed by three-bedders. The two-beddders were successfully sold for between S$1.06 million and S$1.4 million, while the 3-bedroom apartments between S$1.71 million and S$2.13 million. 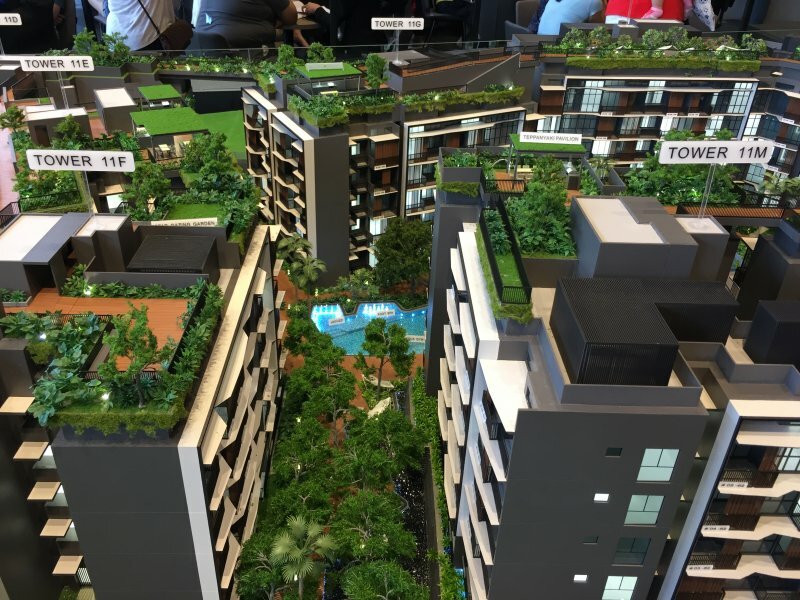 S P Setia said that nine in 10 of the buyers were Singapore citizens. Daintree Residences successfully selling 63 per cent of its offering must have surprised some analysts analysts who had doubted if the price tag for the new launch was viable in the wake of the recent hike in Additional Buyer’s Stamp Duty and loan-to-value ratio tightening. Daintree Residences features a number of exciting facilities that can appeal to people of all ages. Some of the facilities available within the condo include a 50m lap pool, children’s playground, indoor gym and function’s room. Others include a BBQ area, Jacuzzi, guard house, tennis court and communal area. Beauty World MRT station is just 10 minutes’ walk away from the Daintree Residences, which allows residents to access other parts of Singapore with ease. There are also lots of roads and expressways like the Bukit Timah Road, Toh Yi Road and Pan-Island Expressway (PIE), which connect to the Central Business District (CBD) and the rest of the island. That means travelling or going to and from work and school is as convenient as it is cheaper. There are many schools found within the immediate vicinity of Daintree Residences, where children can get quality education. Some of these schools include Bukit Timah Primary, Yusof Ishak Secondary, Methodist Girls’ Primary, Pei Hwa Presbyterian Primary, Ngee Ann Polytechnic and Singapore Institute of Management. Those looking for an international school can take their children to German European School Singapore (GESS). Daintree Residences is located near a range of upscale malls that offer residents numerous shopping opportunities. While some are just a walking distance away, others only require residents to take a 20 or so minutes’ drive. By the way, the famous Cheong Chin Nam street, there are lots of good food. And of course some people’s favourite Prata store is just around the corner. Much as Daintree Residences has all the luxury facilities there is to desire in a modern home, residents might need to go out once in a while, maybe during the weekend or holiday. Bukit Timah Community Club is just a few minutes’ walk from the development and residents can take time off their rather busy schedules to attend culinary classes, dancing lessons and/or enjoy playing badminton. Are planning to purchase a unit or two in the new Daintree Residences but have insufficient or no funds at all? Don’t worry because iCompareLoan mortgage broker can set you up on a path that can get you a home loan in a quick and seamless manner. The broker has close links with the best lenders in town and can help you compare Singapore home loans and settle for a package that best suits your home purchase needs.